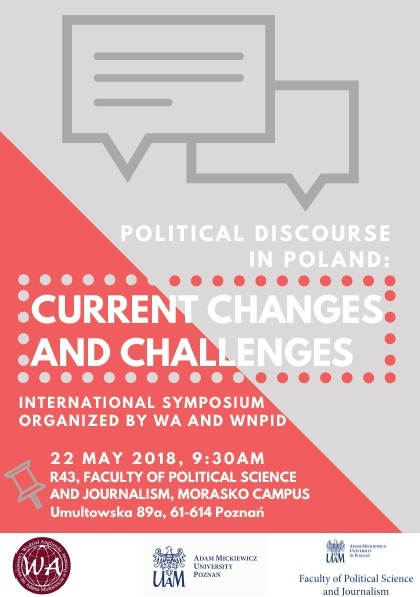 This symposium provides an opportunity for participants to share current research on the state of political communication in Poland between each other and with WA and WNPiD staff and students. 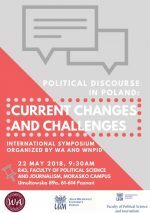 Though focussing on political discourse in Poland, the presented papers will address issues which are either cross-border, or which should be seen as part of wider global/regional trends, including the importance of the media in political communication, ‘fake news’, the rise of populism, and role of the (imagined) national state. The papers provide insight into different quantitative and qualitative research methods (e.g. multi-modality, social media analysis, statistical analysis) and different theoretical approaches and fields. 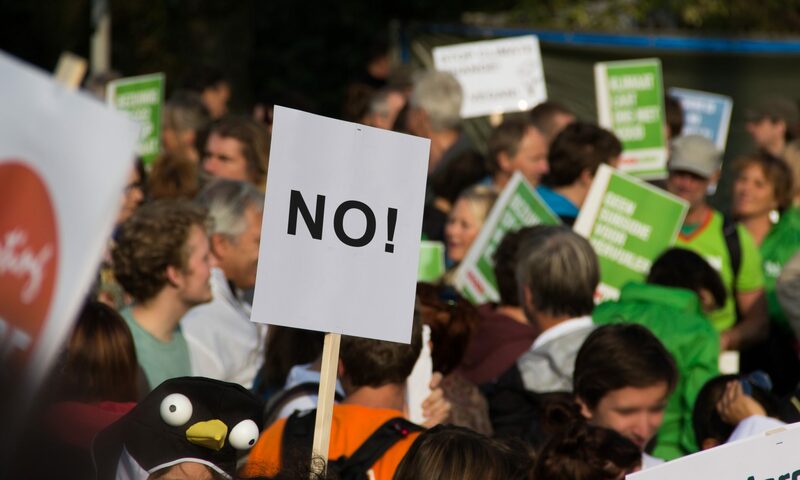 Papers within linguistics use the perspectives of (Critical) Discourse Analysis, rhetoric and pragmatics, whilst other papers are situated in the fields of mediatization and communication, political science, sociology, history, and international relations. Participation is open to students and researchers of WA and other UAM faculties.